Specialized ant-fraud private investigator & surveillance services for life, home and automotive insurance companies in the greater Toronto area. Organized criminal activity can be very complex, with several sectors working together in order to maximize the claim’s dollar value. This can include dishonest automotive repair shops to towing companies to physiotherapy clinics that provide unethical and false bills for services that were never provided. 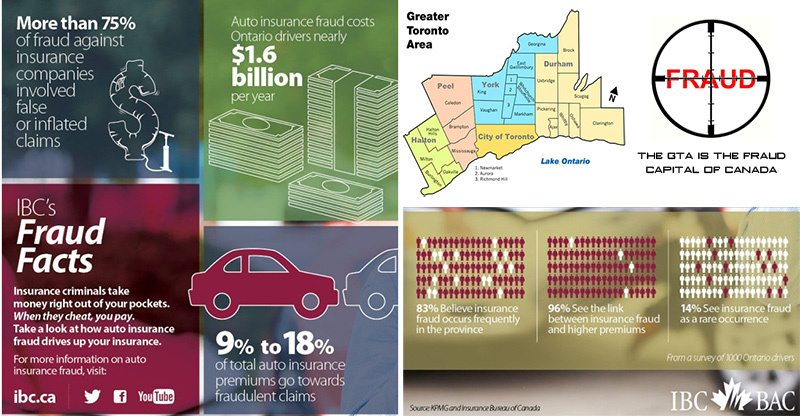 Automotive insurance fraud claims investigations. Life insurance fraud claims investigations. Home insurance fraud claims investigations. WSIB (workers compensation insurance) fraud claims investigations. Covert photography and videography to verify personal injury claims. Our private investigators are dressed in everyday clothing and easily blend into the general public, making their surveillance operations totally unnoticeable. Dedicated anti fraud task force for the sole purpose of combating insurance fraud in the home and automotive insurance services industry. We will connect the dots and unveil any patterns in suspicious behavior, exploiting complex networks of organized criminal activity. Witness interviews and statements who have witnessed the accident in question in order to verify details of a claim in question. Our detailed and comprehensive activity reports will record date, time, location, and description of activity, whether it be routine or suspicious in nature. Incentive bonuses for our private investigators to encourage them to succeed in getting photographs and video surveillance which can provide evidence of a false insurance claim, and to prosecute individuals for insurance fraud. Monthly in depth electronic report, containing detailed statistics in graph form of all incidences that have occurred, and current / future site specific issues those need to be addressed. Android, iPhone mobile application and mobile web platform for quick access to progress reports of your case. 24 hour dispatch line for resident inquiries.